Is it time to consider the Brisbane apartment market? There is no doubt that the Brisbane apartment market has been doing it tough. High supply levels across key inner-city suburbs coupled with soft economic conditions, relatively low investment activity and soft rental conditions have resulted in Brisbane unit values consistently falling. In fact, based on CoreLogic’s hedonic index results for June ‘18, Brisbane unit values were 10.6% lower than their previous peak, which was more than ten years ago in March 2008. 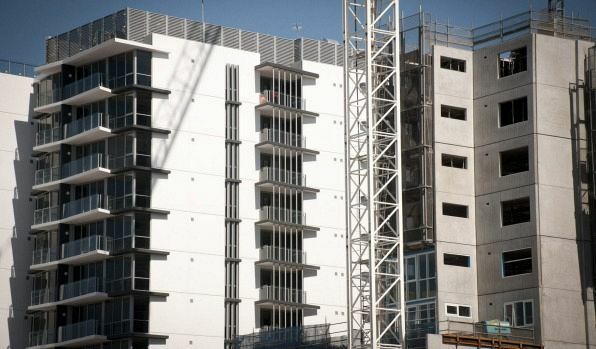 While high supply levels persist, Brisbane’s construction cycle for units has been winding down for almost two years. As at March this year, there were 22,900 units underway across Queensland, with the majority of these projects based in Brisbane; 30% below the September 2016 peak when 32,550 units were being built. As construction winds down, population growth is ramping up, providing additional demand for housing. Queensland is leading the nation for interstate migration, with residents arriving from other states and territories reaching the highest level since December 2005. CoreLogic indices have already shown some early signs of a recovery across the Brisbane unit market. Unit values are up 1.2% over the first half of 2018, outperforming the detached housing sector where values have remained virtually flat (+0.1%) and annual growth has moved back into positive territory. Buyers are likely to be attracted to the fact that unit prices are currently roughly equivalent to what people were paying in mid-2007. There is also the strong rental yield, which is averaging 5.3% gross across the Brisbane apartment market; 153 basis points higher than Sydney yields and 132 basis points higher than Melbourne yields. The higher yield, lower entry point and potentially stronger growth prospects may pique the interest of investors, especially considering the dimmer prospects for value growth in Sydney and Melbourne, as these markets move through their down phase. Prospective buyers should still use some caution, particularly around the inner-city markets where supply levels remain high. Buyers are certainly in the driver’s seat, so vendors will need to be realistic about their price expectations and expect some tough negotiation to be had.